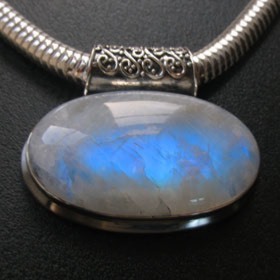 This is a favourite semi-precious stone and in countries where it's considered sacred, it is revered. 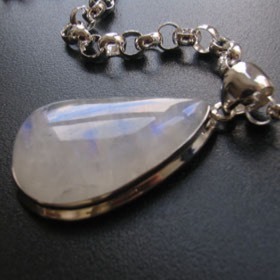 Moonstone comes in plain shades of lemon, blue, mauve and white. 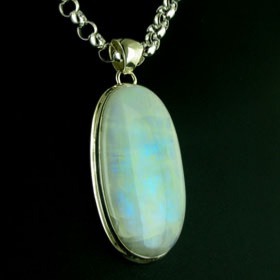 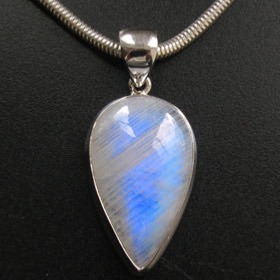 Our moonstone pendant necklaces are all rainbow moonstone pendants. 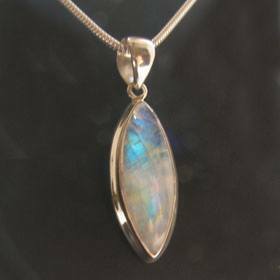 They have a characteristic schiller - a floating blue light - and occasional shafts of rainbow colour shot through the stone. 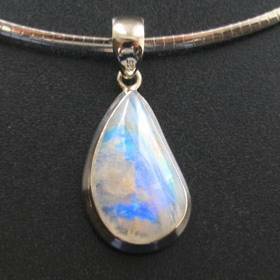 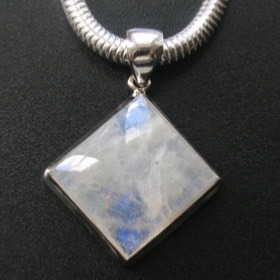 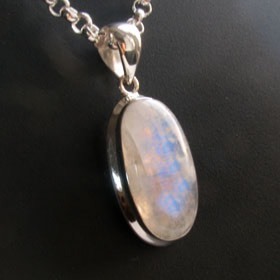 For a multi stone moonstone necklace see our collection of moonstone necklaces. 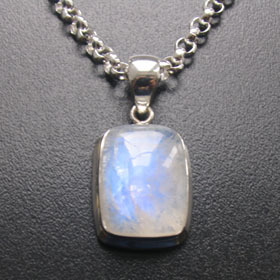 Consult our gemstone rings to find a collection of moonstone rings. 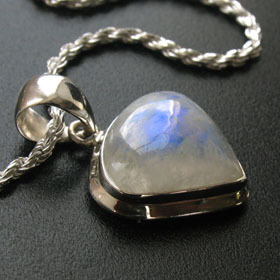 Rainbow moonstone heart pendant set in sterling silver. 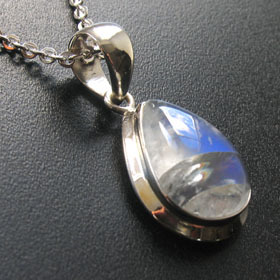 Rainbow moonstone marquise pendant in sterling silver.